Indonesia, the world's most populous Muslim nation, is the second stop in Clinton's inaugural overseas trip as the top U.S. diplomat. She said that was "no accident," with the trip designed to show support for the country's hard-won democracy as well as its efforts to fight terrorism while respecting human rights. Steps were already being taken to improve relations, she said, announcing at a joint press conference with Foreign Minister Hassan Wirajuda that Peace Corps operations were expected to resume here after a long absence. Peace Corps volunteers last served in Indonesia from 1963 until 1965. They were expelled after leftists accused them of being spies. Clinton also indicated that more development aid was on the way. Indonesia, often held up as a beacon of Islamic democracy and modernity, has personal ties for President Barack Obama, who spent four years here as a child. Among those who turned out at the airport to welcome Clinton were 44 children from his former elementary school, singing traditional folk songs and waving Indonesian and U.S. flags. Clinton smiled and swayed to the music. "I bring greetings from President Obama, who has himself said and written about the importance of his time here as a young boy," Clinton said. "It gave him an insight into not only this diverse and vibrant culture, but also the capacity for people with different backgrounds to live harmoniously together." Wirajuda agreed, saying, "We have proven here democracy, Islam and modernity can go hand in hand." JAKARTA, Indonesia (AP) — Secretary of State Hillary Rodham Clinton pledged a new American openness to ideas from abroad, especially the Muslim world, during a visit Wednesday to Indonesia. Anti-U.S. protests were held in several cities, with some Islamic hard-liners setting tires on fire and others throwing shoes at caricatures of Clinton, but the rallies were small and scattered. Indonesia, the world's most populous Muslim nation, is the second stop in Clinton's inaugural overseas trip as the top U.S. diplomat. She said that was "no accident," with the trip designed to show support for the country's hard-won democracy as well as its efforts to fight terrorism while respecting human rights. Steps were already being taken to improve relations, she said, announcing at a joint press conference with Foreign Minister Hassan Wirajuda that Peace Corps operations were expected to resume here after a long absence. Peace Corps volunteers last served in Indonesia from 1963 until 1965. They were expelled after leftists accused them of being spies. Clinton also indicated that more development aid was on the way. Indonesia, often held up as a beacon of Islamic democracy and modernity, has personal ties for President Barack Obama, who spent four years here as a child. Among those who turned out at the airport to welcome Clinton were 44 children from his former elementary school, singing traditional folk songs and waving Indonesian and U.S. flags. Clinton smiled and swayed to the music. "I bring greetings from President Obama, who has himself said and written about the importance of his time here as a young boy," Clinton said. "It gave him an insight into not only this diverse and vibrant culture, but also the capacity for people with different backgrounds to live harmoniously together." Wirajuda agreed, saying, "We have proven here democracy, Islam and modernity can go hand in hand." Though most of the country's 190 million Muslims practice a moderate form of the faith, public anger ran high over U.S. policy in the Middle East and the invasions of Iraq and Afghanistan during the Bush administration, fueling a small but increasingly vocal fundamentalist fringe. The militant group Jemaah Islamiyah has carried out a series of suicide bombings targeting Western interests in Indonesia since 2002, killing more than 240 people, many of them foreign tourists. But experts say a crackdown has severely weakened the movement; the last attack occurred more than three years ago. Security was tight for Clinton's visit, with 2,800 police deployed in the capital along with members of the army, according to local police. Witnesses saw scattered protests and at least five people were detained by police following a rowdy rally by 200 Muslim university students in front of the U.S. Embassy. Some protesters sets tires on fire in a city on the capital's outskirts and others screamed "Hillary is terrorist." One of Clinton's goals in Indonesia is to stress the growing importance of a region that often felt slighted by the Bush administration. She visited the Association of Southeast Asian Nations secretariat on Wednesday, where she signaled U.S. intent to sign the regional bloc's Treaty of Amity and Cooperation. Clinton also plans to pledge to attend the group's annual regional security conference, U.S. officials said. 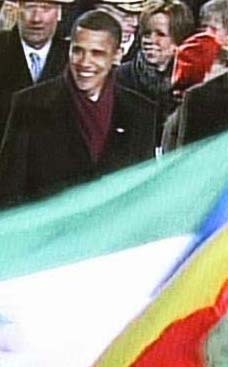 Former Secretary of State Condoleezza Rice skipped the ASEAN Regional Forum twice during her four years in office, to the dismay of the region. 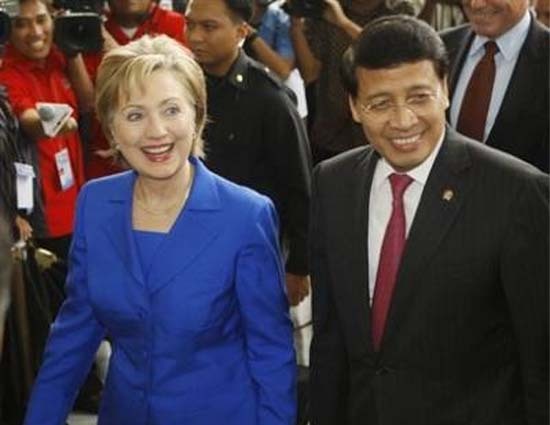 Development, climate change, the Iranian nuclear dispute and the war in Afghanistan were also on the agenda during Clinton's meetings with Indonesian leaders. During Clinton's first Asia stop, in Japan, her two days of talks focused mostly on North Korea's belligerent rhetoric and threats of a missile test, and on the global financial crisis. After Indonesia, she travels to South Korea and China, where North Korea is again likely to dominate her meetings. Greetings to you all. I am looking for an opportunity to Minister the Gospel around the world. If you could be there and wish to do a conference etc. you can always contact me for other arrangements. Am also requesting if someone could sponsor my wife to study a Medical Health Recording course of which she failed last year due to lack of campus fee. God bless you as you do that. Colosssians 3:23.